The opinions expressed herein do not necessarily reflect those of IPSF. 1) Can you describe the World Health Assembly (WHA) from an organization point of view? Certainly. As the leading global organisation for pharmacy students and recent graduates, a large part of IPSF advocacy work from my experience is done in relation to the World Health Organization, with whom IPSF has been in official relations for a few years now. Broadly, we can divide the WHA into two different, but connected tracks – the first one is the plenary sessions and the second one is the various side events on hot topics that take place during the WHA. Of these, some are at the venue itself, while some are hosted in connected institutions and it is all these events that are of particular interest to us. Organized by various NSA stakeholders and sometimes Member States, they provide excellent insights into current events and open up opportunities for networking and collaboration. Naturally, IPSF will also always have sufficient presence at the plenaries to ensure being able to intervene when appropriate. 2) How can a pharmacy student get involved and what does it imply? Any pharmacy student that is either a member of an IPSF Member Association or an Individual Member may apply to be a part of the IPSF delegation to the WHA. These applications are usually done early in the year of the WHA in question. To be successful, you would need to exhibit certain knowledge on global health and other issues, as well as be able to clearly articulate what is it you can contribute to the delegation and likewise, what are your expectations. To make our presence as efficient as possible, we would divide tasks amongst delegation members, which are in turn expected to take their roles seriously. Based on previous experience though, there is always enough leeway for students to participate in events they themselves find interesting and the mandatory assigned presences are usually at most one every two days for each delegate. 3) Why should a pharmacy student or recent graduate be part of IPSF delegation at WHA? I would say first and foremost, it is an excellent opportunity to be present at what is perhaps the largest global health event of the year, every year. By being a part of it, delegates can expect several things – expanded network, new knowledge and new skills are just some of the possible outcomes. I have often noticed participating students retain their interest in global health after the event and make an effort to stay in the loop. Many students also decide to apply for a position in IPSF Team afterwards, in the Public Health portfolio or elsewhere. Currently, IPSF has many exciting workstreams with WHO which are relevant to pharmacists. Delegates can learn a large portion of that through their participation. 4) What were the statements presented by IPSF at the 70th WHA and what are their purposes? The topics on which the statements were made, were on the shortage of and access to vaccines and medicines, the health of migrants, the global health action plan on the public health response to dementia, the Strategic Approach to International Chemicals Management (SAICM), polio transition planning and SSFFC medical products. The content is naturally different depending on the topic, but they all have the connecting theme of pointing out the benefits to public health when properly positioning pharmacists in the health workforce, even pharmacy students and recent graduates. Some statements also included specific previous work done by IPSF to advance these global action plans or to build on certain frameworks. Essentially, they all serve the purpose of affirming the importance of the future pharmaceutical health workforce in the global and public health field, maximizing positive outcomes for patients and the general population worldwide. 5) What was the major challenge and the highest achievement for IPSF at WHA? One of the major challenges for myself personally was definitely managing the responsibilities of the delegation, which I must mention was a team effort and I am thankful to Sabrine Chengane and Israel Bimpe for what we were able to accomplish as the managing team. To make this management easier, it was important for us to realize there are a lot of open topics and discussions on the table and even with a 30-something strong delegation, we needed to prioritize and focus on topics where we can be most impactful. I suppose picking the highest achievement is a bit subjective, but I would say the talks we had with WHO representatives on IPSF’s participation in the Fourth Global Forum on Human Resources for Health in Dublin this November. During my term as the Chairperson of EuRO, we managed to identify additional possible collaborative workstreams after WHA in this regard, which I hope to help build this year as the Policy Coordinator as well. 6) What is the feeling of speaking in name of all pharmacy students for the Assembly? It truly is a one of a kind opportunity. Shortly before your turn, you start thinking of all the work that led up to that point, both in your life and in the team when preparing statements. Practically all our statements were a team effort, so the speaker has the duty to their team, too – to ensure the message is carried across properly and that the work ultimately paid off. Afterwards, it was really exciting to see some Member States delegates giving positive feedback, then we are always counting on Member States picking up on some of the points we get across to perhaps spark a change in how certain things are done. It also helps to mention the statement whenever possible when talking to other participants afterwards, to help it stick. 7) “Students Today, Pharmacists Tomorrow” … How do you believe this event and all IPSF projects can influence and help us to be not only “students today” but better “pharmacist tomorrow”? One thing I have noticed as a pharmacy student is that we are generally well-versed in natural sciences and in patient-related work, but pharmacy curricula generally exclude meaningful education on global and/or public health, and you can find articles published on exactly this topic, too. Delegates who participate at WHA therefore have a unique opportunity to improve their knowledge on these matters and gain what you might call an »edge«. Healthcare is a continuously evolving topic and it is very important to stay informed and see the bigger picture, as it is the only way our skills will really shine in the future. 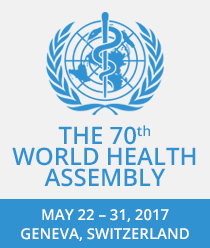 Participation at WHA can therefore build a positive habit of investing personal effort in order to stay on top of these events. Of course, it helps the organisation too, as the global floor is a considerably large audience which your message can potentially reach. 8) And lastly, do you have a message to encourage students to get involved with IPSF activities? Looking back, some of the most exciting experiences in my student life have come as a direct result of being involved with IPSF. I am sure by now, many of your students are familiar with SEP, as I know APEF is one of the most active associations in terms of incoming and outgoing students. SEP is already a great way to gain additional professional expertise, connections and soft skills. Then, whether you involve yourself in IPSF-initiated projects locally and nationally or decide to participate in the IPSF World Congress and apply for a position in the IPSF Team, you will certainly not regret the time and resources invested. I think it is very safe to say that all this extra work is well worth it, as it eventually helps you stand out in the labour market and find your niche. As opiniões aqui expressas não refletem necessariamente as da IPSF. 1) Pode descrever a Assembleia Mundial de Saúde (WHA), do ponto de vista da Organização? Sim, claro. Pela minha experiência, uma grande parte do trabalho de advocacia da IPSF, enquanto organização global líder para estudantes de Ciências Farmacêuticas e recém-formados, é feita com a Organização Mundial de Saúde (OMS), com a qual mantém relações oficiais há já alguns anos. De um modo geral, é possível dividir a WHA em dois caminhos diferentes, mas interligados – o primeiro, com as sessões plenárias, e o segundo, com os vários eventos paralelos sobre os tópicos do momento que ocorrem durante a WHA. Destes eventos, alguns decorrem no próprio local, enquanto outros têm lugar em instituições parceiras e são todos esses eventos que nos interessam particularmente. Organizados por vários intervenientes da NSA (n.t. Non-state Actor) e, por vezes, por Estados membros, estes eventos fornecem informações excelentes sobre os acontecimentos atuais e abrem ainda oportunidades de colaboração e trabalho em rede. Naturalmente, a IPSF estará sempre presente nas sessões plenárias, de modo a garantir a possibilidade de intervenção, sempre que necessária. 2) De que forma podem os estudantes de Ciências Farmacêuticas envolver-se na IPSF? Qualquer estudante de Ciências Farmacêuticas que faça parte de uma associação membro da IPSF ou, a título individual, pode candidatar-se para integrar a delegação da IPSF na WHA. Estas candidaturas são normalmente feitas no início do ano de realização da WHA. Para ser bem sucedido, é fundamental que o candidato demonstre ter algum conhecimento em saúde global, entre outros domínios, bem como ser capaz de expor de forma clara o contributo que pode vir a dar à delegação e ainda partilhar as suas expectativas. No sentido de tornar a nossa presença o mais eficiente possível, dividimos as tarefas inerentes a este evento entre os membros da delegação e esperamos que cada um deles as “leve a sério”. Tendo presente as edições anteriores, há sempre margem suficiente para que os estudantes possam participar em eventos que eles próprios considerem interessantes, sendo que é normalmente atribuída uma presença obrigatória a cada dois dias, a cada delegado. 3) Que razões podem levar um estudante de Ciências Farmacêuticas ou um recém-formado a fazer parte da delegação da IPSF na WHA? Eu diria, em primeiro lugar, que o mais importante é a excelente oportunidade de estar presente naquele que é possivelmente o maior evento de saúde global do ano, realizado todos os anos. Sendo parte integrante deste evento, os delegados podem esperar adquirir um network alargado, novos conhecimentos e novas competências, etc. Muitas vezes, apercebi-me de que os estudantes mantêm interesse na temática da saúde global, mesmo depois do evento, fazendo um esforço para se manterem atualizados nesta área. Muitos estudantes decidem ainda candidatar-se a um cargo na equipa da IPSF, no portefólio da Saúde Pública, ou a outros cargos. Neste momento, a IPSF tem muitos projetos entusiasmantes a decorrer em parceria com a OMS, que são de extrema relevância para os farmacêuticos. Os delegados têm oportunidade de aprender uma grande parte desses importantes conteúdos durante a sua participação na WHA. 4) Quais foram as declarações prestadas pela IPSF na 70ª edição da WHA e quais os principais propósitos? Os tópicos abordados nas declarações feitas pela IPSF nesta edição da WHA foram a falta e a dificuldade de acesso a vacinas e medicamentos, a saúde dos migrantes, o plano de ação de saúde global na resposta da Saúde Pública para a demência, a “Abordagem Estratégica para a Gestão Internacional de Químicos” (SAICM), o plano de transmissão da poliomielite e os produtos médicos substandard, spurious, falsely labelled, falsified and counterfeit (SSFFC). O conteúdo é naturalmente diferente, dependendo do tópico, mas com todos eles pretende-se apontar os benefícios para a Saúde Pública quando os farmacêuticos, recém-formados ou estudantes de Ciências Farmacêuticas são devidamente posicionados na força de trabalho na área da Saúde. Algumas declarações também incluíram conteúdo específico anteriormente elaborado pela IPSF, com vista à melhoria dos planos de ação global e à construção de determinados enquadramentos. Essencialmente, todas as declarações permitiram afirmar a importância da futura força de trabalho farmacêutica na Saúde Pública, a nível global, maximizando os resultados positivos para os pacientes e para a população em geral de todo o mundo. 5) Qual foi o maior obstáculo e a maior conquista da IPSF na WHA? Pessoalmente, para mim um dos maiores obstáculos foi, sem dúvida, gerir as responsabilidades da delegação, tendo que referir que foi um esforço de equipa e tenho de agradecer à Sabrine Chengane e ao Israel Bimpe pelo que eles alcançaram como responsáveis logísticos. Para tornar a logística mais fácil, foi importante apercebermo-nos de que há muitos tópicos abertos e discussões na mesa e, mesmo tendo uma delegação com 30 e tal delegados, precisámos de priorizar e focar em tópicos onde podemos ter maior impacto. Considero que escolher a maior conquista é um pouco subjetivo, mas eu diria que foram as conversas que tivemos com os representantes da OMS na participação da IPSF no 4º Fórum Global dos Recursos Humanos para a Saúde, em Dublin, este novembro. Durante o meu mandato como Chairperson do EuRO, conseguimos identificar possíveis novas colaborações no decurso da WHA e espero poder contribuir na criação destas, este ano, como Policy Coordinator. 6) Como te sentes por poder falar em nome de todos os estudantes de Ciências Farmacêuticas na Assembleia? É verdadeiramente uma oportunidade única. Pouco antes da intervenção, começas a pensar em todo o trabalho que levou àquele ponto, tanto na tua vida, como na da equipa quando preparámos as declarações. Praticamente todas as nossas declarações foram um esforço de equipa, tendo o porta-voz responsabilidades para com a sua equipa – tem que garantir que a mensagem correta é passada e que o trabalho feito valeu a pena. Depois, foi muito entusiasmante ver alguns dos delegados dos Estados membros a dar feedback positivo a alguns dos tópicos que colocámos em questão e que talvez tenham incitado a mudança na forma como certas coisas são feitas. Discutir as propostas feitas com outros participantes durante a WHA também ajuda a reiterar a mensagem. 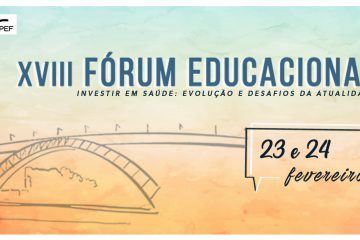 7) “Students Today, Pharmacists Tomorrow”… Como acha que este evento e todos os outros projetos da IPSF podem influenciar e ajudar-nos a ser não só “estudantes hoje”, mas também melhores “farmacêuticos amanhã”? Uma das coisas que sinto como estudante de Ciências Farmacêuticas é que normalmente temos boas capacidades a nível das ciências exatas e da relação com o doente, mas que o plano de estudos normalmente exclui formação fundamental sobre saúde global e/ou pública, podendo mesmo encontrar artigos que atestam isto mesmo. Os delegados participantes na WHA tiveram a oportunidade única de aumentar o seu conhecimento nesta área e adquirir uma perspetiva alargada. Os cuidados de saúde são um tópico em evolução contínua e é muito importante que nos mantenhamos informados e que vejamos as coisas nessa perspetiva alargada, sendo esta a única forma de fazer as nossas capacidades brilharem no futuro. cipação na WHA pode, assim, construir um hábito positivo de investimento pessoal que complementa uma lacuna existente na nossa formação. Por outro lado, claro que este contributo também ajuda a própria IPSF, uma vez que conseguimos levar a nossa mensagem a uma plateia maior. 8) Por fim, tem alguma mensagem para encorajar os estudantes a envolverem-se nas atividades da IPSF? Olhando para trás, algumas das experiências mais entusiasmantes da minha vida de estudante foram consequência direta do meu envolvimento na IPSF. Hoje, estou certo de que muitos dos estudantes portugueses estão familiarizados com o Student Exchange Programme (SEP) porque a APEF é uma das associações mais ativas, tanto a nível de estudantes incoming, como de outgoing. O SEP é uma excelente forma de ganhar experiência profissional adicional, contactos e soft skills. Quer te envolvas em projetos da IPSF a nível local ou nacional, se decidires participar no Congresso Mundial da IPSF, ou candidatares-te a fazer parte da equipa da IPSF, podes ter a certeza de que não te vais arrepender do tempo e recursos investidos. Acho que é seguro dizer que todo este trabalho extra vale a pena, já que ajuda eventualmente a destacares-te no mercado de trabalho e a encontrar a tua oportunidade ideal.